Mid-ocean ridges have different shapes, also called “morphology,” depending on how fast they are spreading, how active they are magmatically and volcanically, and how much tectonic stretching and faulting is taking place. Why does the mid-ocean ridge crest have such variable topography? This is an important question that marine geologists and geophysicists are studying. Part of the research we are doing is to answer this question. Scientists believe that it is most likely related to the strength of the ocean crust at these different sites and how cold and brittle the upper part of the plate is. 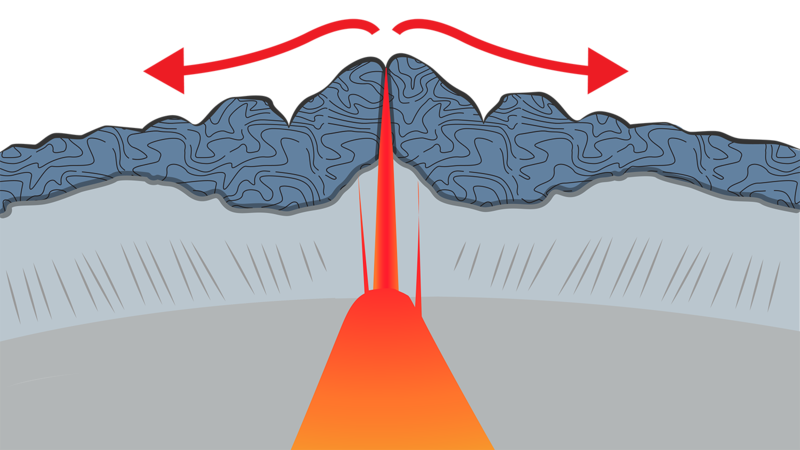 Faster spreading ridges like the northern and southern East Pacific Rise are “hotter,” meaning more magma is present beneath the ridge axis and more volcanic eruptions occur. 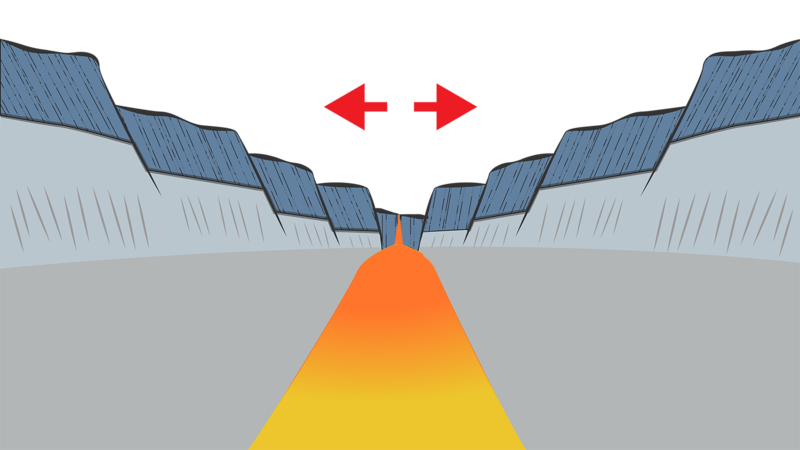 Because the plate under the ridge crest is hotter scientists think that the plate responds to the divergent spreading process more fluidly. In simple terms, this means that the ridge spreads more like hot taffy being pulled apart. At slower spreading ridges, like the northern Mid-Atlantic Ridge, the seafloor behaves like nougat or cold chocolate bars—when it gets pulled enough it cracks and breaks. The ocean crust at slow spreading ridges breaks into ridges and valleys as the seafloor gets pulled apart.